The art of Central America, long left out of the story of Latin American modernism, is getting new attention due to the efforts of two determined U.S. dealer-researchers. Alejandro Aróstegui, Estrella fugaz, 1995, mixed media & collage on canvas. Benigno Gomez, sin título / untitled, oil on canvas. Central America is world-renowned for its Pre-Columbian art, but when it comes to modern art, the region has long been overshadowed by its neighbor Mexico as well as by South America. 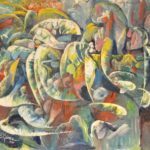 No discussion of Latin American modernism, however, can be complete without taking into the account the vibrant, culturally diverse creations of the six Central American countries—Guatemala, Honduras, Nicaragua, El Salvador, Costa Rica, and Panama. 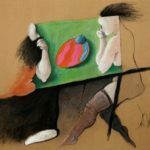 For North Americans—as for the global art world in general—knowledge about Central American modern art has been hard to come by, but a just-published book by two U.S. dealers and researchers, Mark Morgan Ford and Suzanne Brooks Snider, is about to make an important difference in that regard. Ford and Snider, who are partners in Ford Fine Art in Delray Beach, Fla., are launching their bilingual, lavishly illustrated volume, Central American Modernism/Modernismo en Centroamérica, at Pinta Miami, the Latin American art fair held at Mana Wynwood from December 5–9. Ford, an entrepreneur and investor who has published many books on business strategy under the pen name of Michael Masterson, became fascinated by Latin American art because of a chance visit to the Southern California gallery of Bernard Lewin, a dealer and one of the most important collectors in the field (before his death in 2003, he and his wife donated over 2,000 works to the Los Angeles County Museum of Art). Initially focusing on Mexican artists, Ford was intrigued by the blending of influences in Latin American modern art—Native American cultural background, European classical traditions, and European and North American avant-garde modernism—and began putting together a collection of his own. He had business ventures in Central America and connected with Snider, who had lived in Costa Rica for several years and already had an interest in Central American art. Together, they conceived the idea of using their access to the region to promote and sell Central American modern art in the U.S. However, they soon found that the idea was more difficult to execute than they had expected. 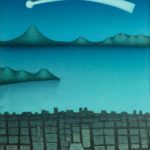 While there are many great artists from Central America, the region has few museum holdings of modern and contemporary art and a small number of reputable commercial galleries. Much of the best modern art is in the private collections of wealthy families or in corporate art collections, most of which belong to banks. About eight years ago, Ford and Snider decided that in order to foster an international market for Central American modern art, it was necessary to spread knowledge about that art. In the course of their research, they found that there was no book that took in the art of the region as a whole, and so they decided to write one themselves. In order to do that, they needed to become deeply versed in the full range of Central American art, which entailed multiple trips to the countries to visit collections; interview historians, museum directors, dealers, collectors, artists, and artists’ families; and collect documents and photographs of artworks. Despite the daunting nature of the task, Snider found the experience to be very rewarding. “What was good was that in every single country, I was welcomed,” she recalls, “because I was there on a mission to make the art of their country known. 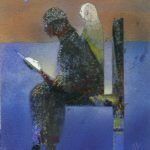 In homes—sometimes modest, sometimes elegant—always, always, people greeted me graciously.” Commenting on the differences among art-viewing opportunities in the various countries, she says, “El Salvador has a beautiful museum, the Museo Forma, where you can see the work of their masters. In Honduras, on the other hand, you have to go to a bank, and in Nicaragua they take the artwork from the rich and put it into government collections that they rarely let you into.” Eventually, Snider and Ford succeeded in buying enough Central American art to start the gallery in Delray Beach and another in Nicaragua. More recently, they’ve expanded the business by opening another gallery in Coral Cables, Fla.
Central American Modernism/Modernismo en Centroamérica reveals that the modern art of the region tends to reflect the political and social character of each country. The Pre-Columbian heritage is especially important in Guatemala and El Salvador—in the former, artists inspired by Maya art and architecture created monumental facades and bas reliefs for public buildings, while in the latter, indigenous myths transformed into modernist imagery instilled sense of the surreal. 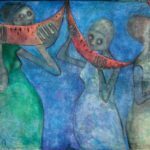 In Costa Rica, printmaking and sculpture were the most popular art media (think of the international fame of the sculptor Francisco Zúñiga), while Honduran art was informed by the nation’s ongoing search for a distinct identity. In Nicaragua, artistic modernism was closely tied to literary modernism, due to the influence of the late 19th–early 20th-century poet Rubén Darío, the founder of the school of Spanish poetry called modernismo. And in Panama, the U.S.-built canal has been a powerful presence, both literally and figuratively, in the nation’s modern art. Central American modernism was born when local artists traveled to Europe and brought back what they had learned from avant-garde artists and critics there, combining these influences with indigenous iconography and themes from their national history. The European influence was key as far as modernism was concerned, because art instruction in Central America at the beginning of the 20th century was extremely conservative. For example, Nicaragua, as Snider and Ford point out in their book, was culturally isolated due to political instability, and through the 1930s, artists there adhered to late 19th-century standards that were an inheritance from colonialism, concentrating on realist landscape, portraiture, and still life. The career of the Guatemalan artist Carlos Mérida is emblematic of the formation of a distinct Central American modernism. After availing himself of the few artistic advantages the capital of Guatemala City could afford, in 1910 the young Mérida went to Paris. He stayed four years, during which he made the acquaintance of Picasso, Mondrian, and Modigliani, as well as of Mexican modernists who had preceded him there, including Diego Rivera and Dr. Atl (Gerardo Murillo). Having absorbed the lessons of Cubism and the School of Paris, Mérida returned to Guatemala, where he became deeply interested in indigenous art and culture—an interest that reflects the general orientation of the modernist avant-garde toward “primitive” art from various world cultures. In Mérida’s case, as with most Central American artists, that inspiration could be found at home, not in a museum of African and Oceanic tribal art, as for, say, Picasso. For Mérida, it was also a very personal quest, because he himself was partly of Mayan descent. He integrated indigenous materials into his art in a quite different way from that of Rivera and the Mexican muralist school; he did not just depict iconography and historical episodes but transformed them graphically according to the lessons of modernist abstraction that he had learned in Paris. Mérida’s career prefigured the pattern followed by others, but modernism was later to arrive in the other Central American republics. 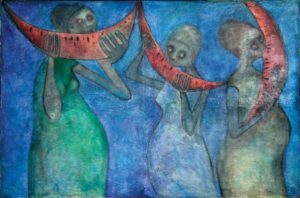 The Nicaraguan artist Rodrigo Peñalba returned after two decades spent in the U.S., Mexico, Spain, and Italy, and became head of Nicaragua’s Escuela Nacional de Bellas Artes in 1948. He encouraged his students to integrate local subject matter and imagery with modernist formalism and academic traditionalism, and from this unique mixture evolved what is now known as Nicaraguan modern art. One of Peñalba’s students was Armando Morales, who went on to become the country’s most famous artist, internationally. Another of his students, Omar d’León, was not only an artist but an art impresario who founded a gallery in Managua, Museo Galería 904, that served as a meeting place for artists during the 1970s, in the years of the Sandinista revolution, which dramatically altered the Nicaraguan art world, promoting monumental, mural-oriented work. Another Managua gallery, Galería Praxis, also had a major influence on the country’s art. Founded in the 1960s by the artist Alejandro Aróstegui, it was inspired by a concern for the working class and radical politics in general; the associated group of artists who called themselves Praxis took as their motto “action, dynamism, and a permanent state of restlessness.” Praxis was quite effective at getting foreign critics and art historians, including the New York Times’ John Canaday, to visit Nicaragua and see the artistic revolution for themselves. The works found and brought to the wider public by Snider and Ford are extremely diverse in both style and subject. They range from the classic European-style abstraction of the Honduran Benigno Gómez to the more indigenously derived abstraction of the Guatemalan Rodolfo Abularach, the folkloric style of d’León, the expressionism of Peñalba, the bold graphics of the Costa Rican printmaker Francisco Amighetti, the brightly colored surrealism of the Salvadoran Benjamin Cañas, and the cave-art-inspired effects of the Panamanian Guillermo Trujillo. What they all share, though, is a uniquely Central American openness to influences from within and without, and the creativity to integrate those influences in a powerfully emotional art.